← Nearly 1/4th of Japanese college students missed this elementary school math question – what about you? This last one, about a half hour ago, was very noticeable at my place. But there was no damage here. It was magnitude 5.1 and was the 1,830th earthquake of magnitude 4 or greater since last year’s big quake. 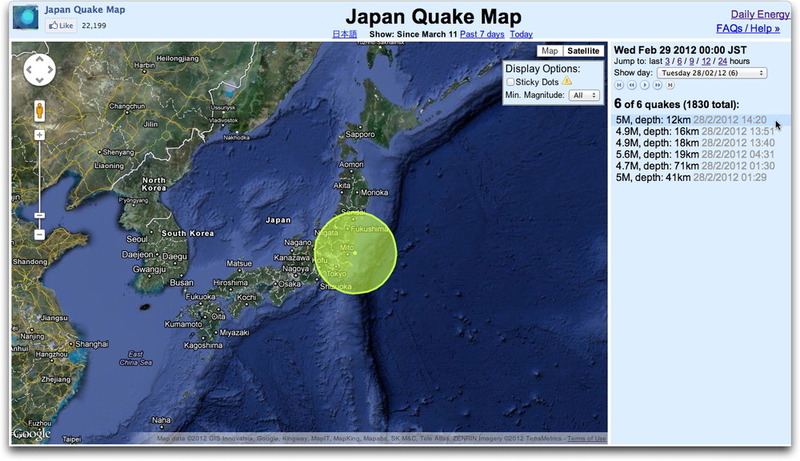 The magnitude 5.6 you see on the list from early morning was down in the Naha area. Only 6. What is happening to mother nature? ?